Yusuf was born in Somalia. As his country was in turmoil, he and his family fled to Kenya as refugees in 2013. After 8 years in Kenya, Yusuf was given the chance to move to Utah in 2011. 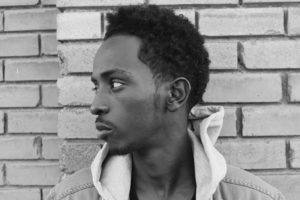 Once in Utah, Yusuf lived in a foster home and with a lot of dedication and hard work, he mastered the English language. He now works as an interpreter with our agency, interpreting for people who speak Somali and Swahili. He loves interpreting and enjoys helping people because he understands the struggles that accompany the refugee experience and not knowing how to communicate in the U.S.
Yusuf is planning to finish his degree soon and plans on pursuing a career in Criminal Justice to further help the community. In his free time, he often spends time playing soccer with foster children.